Argentina is hitting it big these days. With the popularity of Malbec still growing, and the recognition from media and retailers to some grapes s pecific to Argentina (like Torrontes and Bonarda), Argentina is on the right track. Sales of wine from here grew 60% last year and most of the wines coming from this country are well in the value range, which is what people like these days! –Malbec, the grape most often used as a blending variety in Bordeaux and Bordeaux blends, has found a home in the high elevation vineyards of the country. –Torrontes, a white variety unique to Argentina, is delightfully aromatic and crisp. Salta is a region further north that is becoming well known for Torrontes and other white wines. 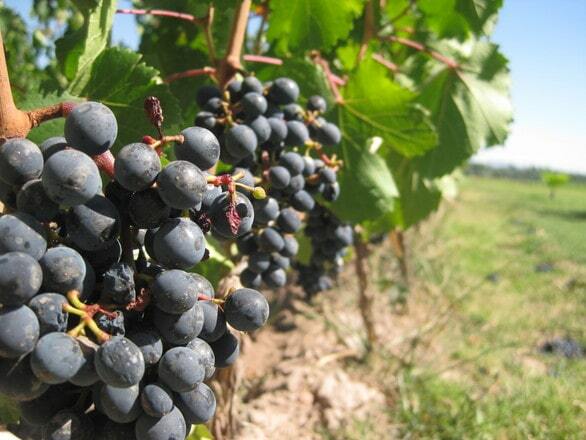 -Mendoza is the heart of Argentina grape growing, and is just a 45 minute flight from Santiago. Though you wouldn’t want to try the drive as that would take you through the Andes mountains. –Bonarda is a unique Argentine grape variety that is used mostly in blends, but occasionally as a single varietal – worth trying! While Malbec is definitely the “state bird” of Argentina, other grapes are making excellent wines, like Cabernet Sauvignon, Syrah and, becoming ever more popular, red blends. So pick up some wine from this tango country – you’ll find many deals under $20 and the wines are certainly well worth it.